People with diabetes experience a high symptom and self-care burden associated with managing their condition, and require appropriate support, advice and regular monitoring. Similarly, health professionals need to maintain and keep up-to-date with an ever-increasing body of knowledge in order to help people with diabetes incorporate new research into their self-care. 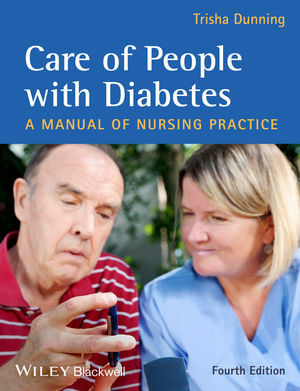 Care of People with Diabetes provides an extensive overview of the knowledge base all health professionals require to work effectively with people with diabetes. Professor Trisha Dunning is Inaugural Chair in Nursing at Deakin University and Barwon Health, Australia. She is an honorary Life Member of the Australian Diabetes Educators Association, a Vice President of the International Diabetes Federation and a distinguished Life Fellow of the Royal College of Nursing, Australia.